Whether on land, in the air or by sea, Australia seems designed to cater to the fearless, people of the world seeking endless options for outdoor adventure. So you’ve got a group looking to create the ultimate adventure that gets their pulses pounding, but still keeps them within a stone’s throw of civilization? That’s a tough nut to crack. The areas of the world where true adventure awaits are usually kind of rough in the civilization department, and the places that offers cocktails and live music at night tend to be pretty far from the real adventure. Luckily, Australia exists. Australia is not only one of the best places to visit from a cultural standpoint, offering great food, urban environments, music and art, but it also contains some of the great untamed wildernesses of the world. Australia offers exciting adventure opportunities for the tourist who likes to get dirty, and is ideal for a group of like-minded people who want to do more than simply go on holiday, they want to experience their holiday. Australia can offer every possible environment and activity for your group of adventure junkies. Hike the Overland Track. 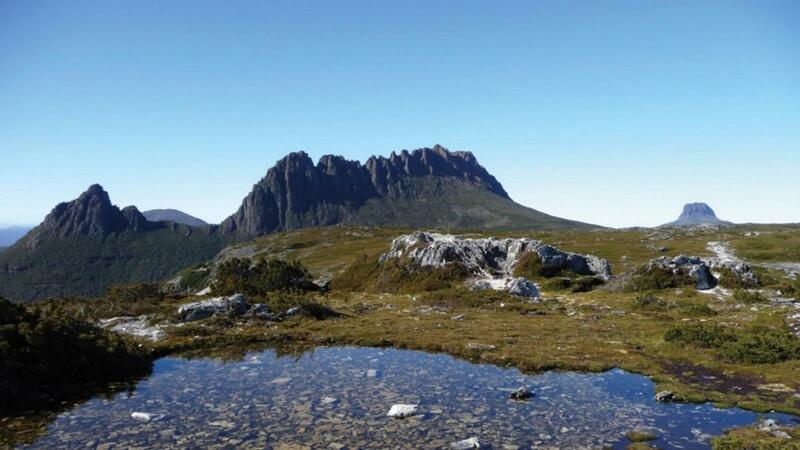 In the middle of Tasmania sits a 40-mile trail that stretches from Cradle Mountain to Lake St Clair. Your group can either walk and camp the whole route in about a week, or plan a shorter trip along just a section. There are stove-heated huts along the way but they can get crowded, so you’ll have to be prepared to sleep out under the beautiful night sky. Hike the Thorsborne Trail. 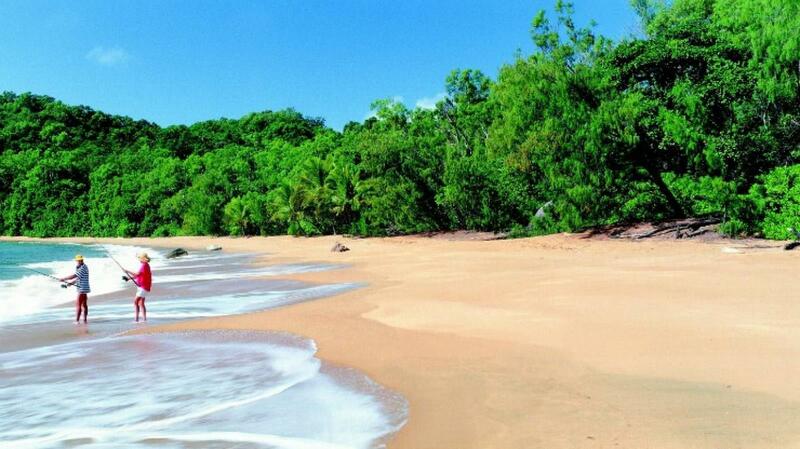 This 20-mile trail is located along the east coast of Hinchinbrook Island, which remains undeveloped and unspoiled. A four-day hike will show you everything from mountain trails to jungles, swamps and beaches with the most beautiful white sand you’ll ever see, not to mention an incredible array of wildlife ranging from crocodiles to sea turtles and dolphins. The trail has no infrastructure and is completely cut off from civilization, so only experienced hikers in good shape should attempt it. Walk the Explorer’s Highway. This trail, stretching from Adelaide to Darwin, follows the trail of famed pioneer John Macdouall Stuart. 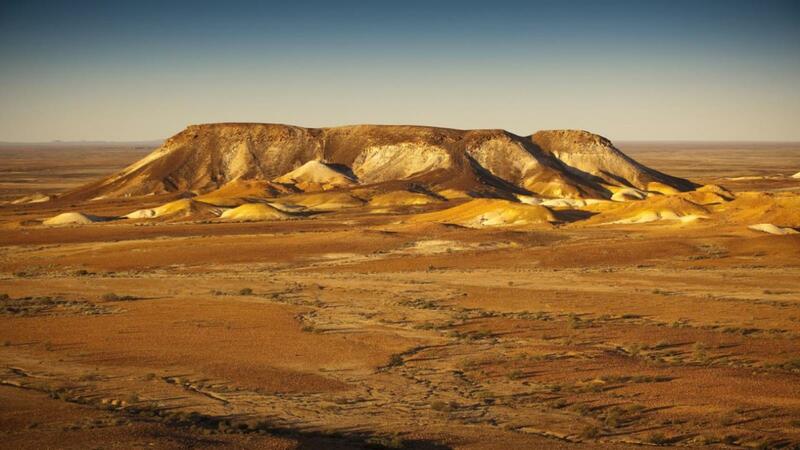 It allows your group to choose the relatively civilized comforts of the Barossa Valley wine region or the more adventurous regions, including an opportunity to stay overnight in the old opal mines of Cooper Pedy or to follow an Aboriginal guide in Uluru. Cross the Nullarbor. 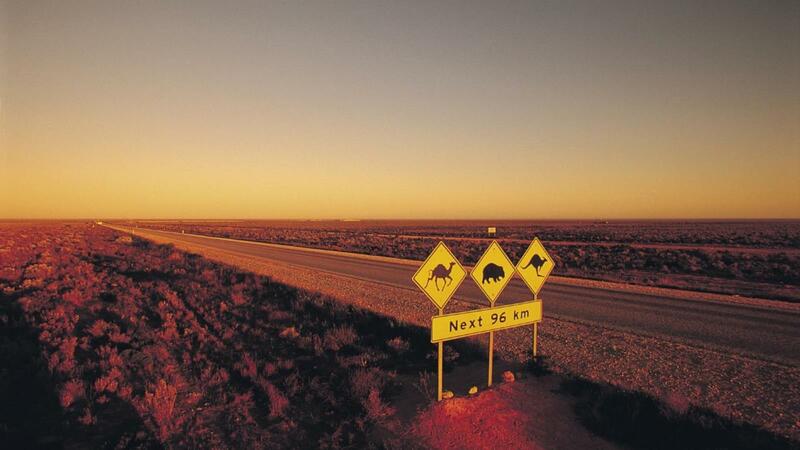 The Nullarbor is a flat, unspoiled plain accessible by car from Melbourne, Adelaide or Perth. 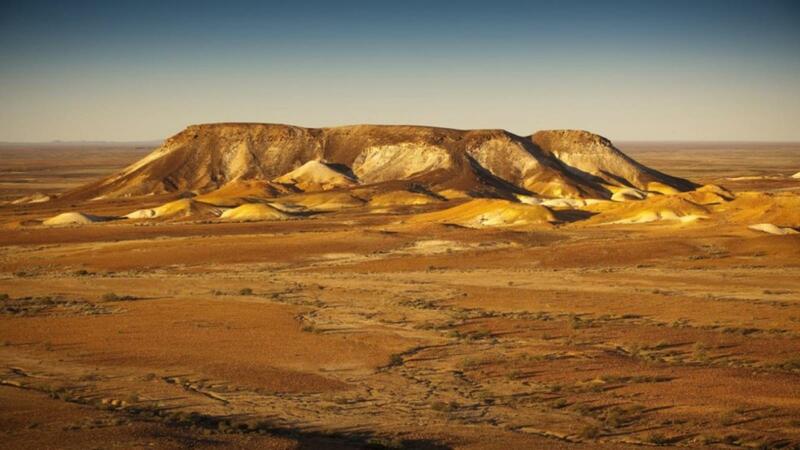 While an all-terrain vehicle (ATV) is required to get off the road and really dive in, just traversing this incredible region will bring your group into contact with wildlife (including kangaroos), pristine desert beauty and reminders of Australia’s gritty settlers. Ride ATVs on Gibb River Road. 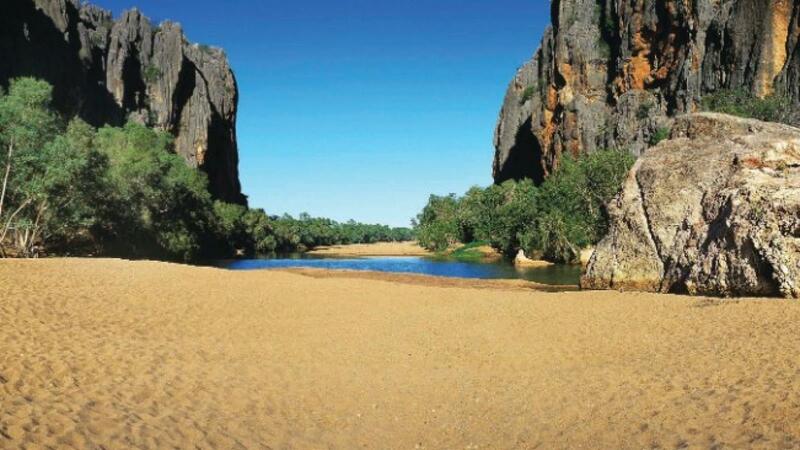 This stretch of four-wheel paradise is more than 400 miles of wild adventure in the Kimberley region of Australia, which you can choose to ride exclusively on your ATV, or hop off here and there to ride a plane, a horse or a bike in order to get in closer to the beautiful area around you. Canoeing the Blackwood River. The Blackwood twists and turns through southwest Western Australia, and you can arrange for a full-bodied expedition that takes you on a journey down the river and into nature. Go in the winter months to experience heart-pounding rapids – you are almost guaranteed to get wet! Go Whale Watching. 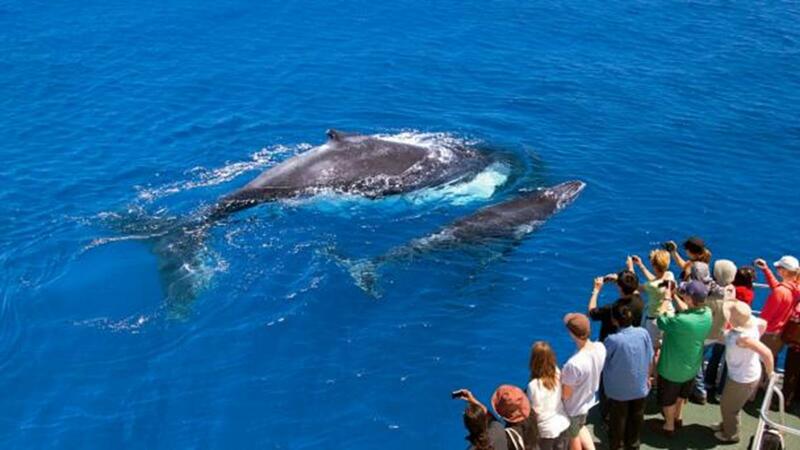 Australia’s Byron Bay and Hervey Bay see incredible numbers of humpback whales every winter, as the huge creatures – only recently recovered from the brink of extinction – come to mate and give birth to calves in Australia’s waters. In other seasons you can spot the whales from almost every region of Australia as they make their way back to the warmer waters in the north. Wherever you see them, it’s a sight you won’t soon forget. Dive the Great Barrier Reef. 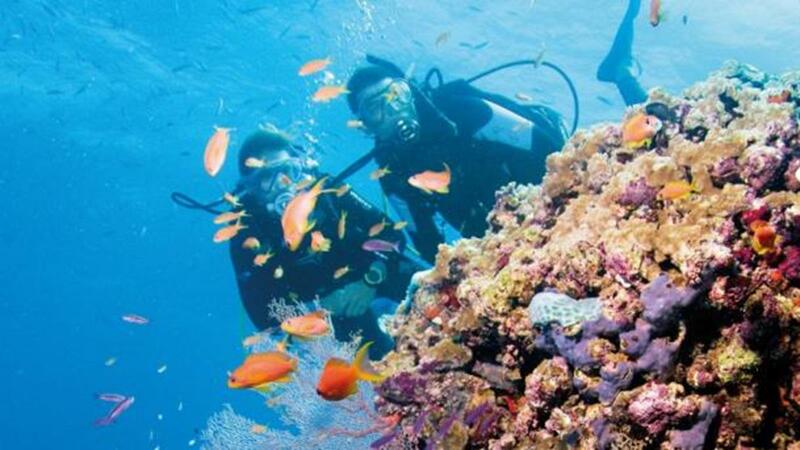 The Great Barrier Reef is one of the wonders of the world, and diving there isn’t for the casual adventurer! Even if some in your group are inexperienced with diving, classes are available year-round. This is, of course, just a taste of the adventures you can arrange in Australia. Australia offers whatever they’re looking for in spades – on land, sea or wheeled conveyance. Even better, if your group gets tired and wants to unwind with a glass of world-class wine or some music, it’s never far away in this incredible country. So now you know the solution to your group’s need for adventure! All you have to do is book it. If you’ve been on an adventure in Australia, let us know how it went and what advice you have in the comments!